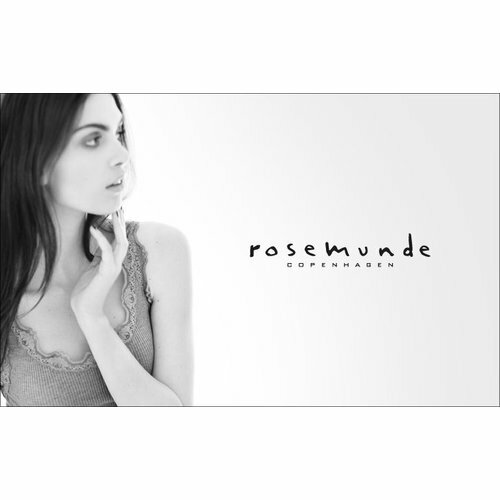 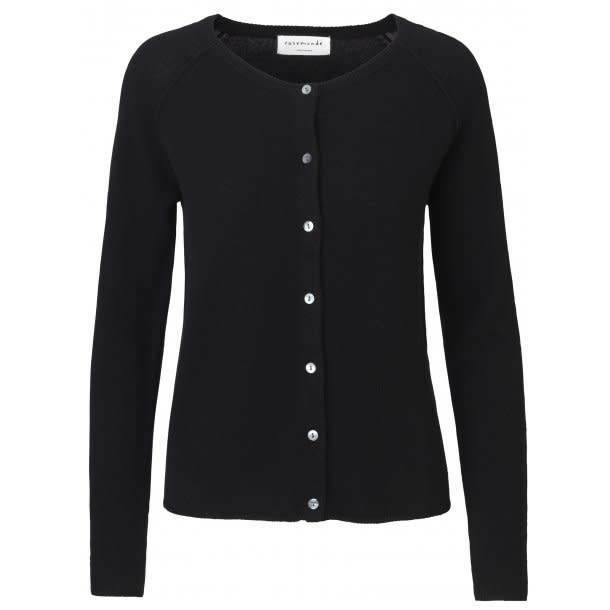 Rosemunde sweater in cashmere and wool. 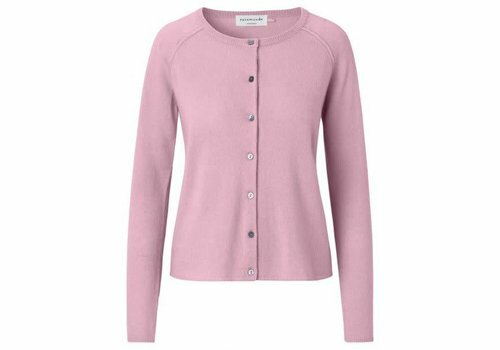 The perfect sweater for your wardrobe. 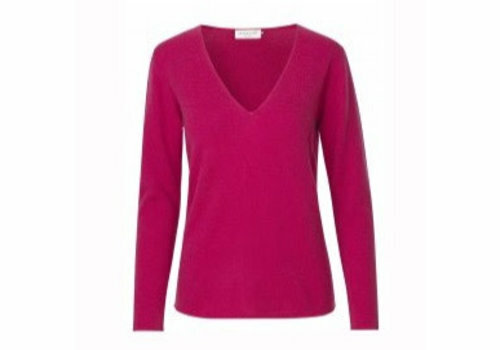 This sweater features a deep rounded V-neckline and a loose fit shape giving it an ultra-feminine and light look. 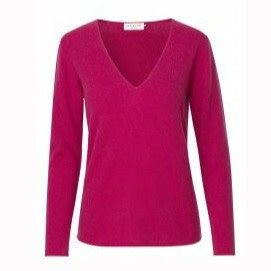 Wear it as is or use it for layering. 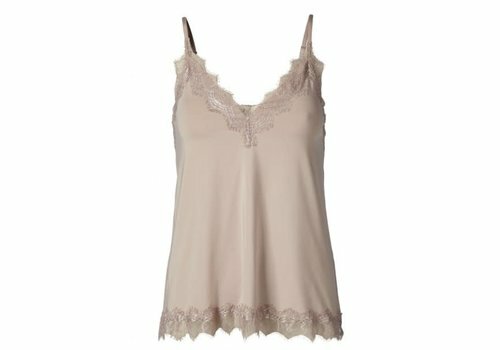 Strap top in silk mix. 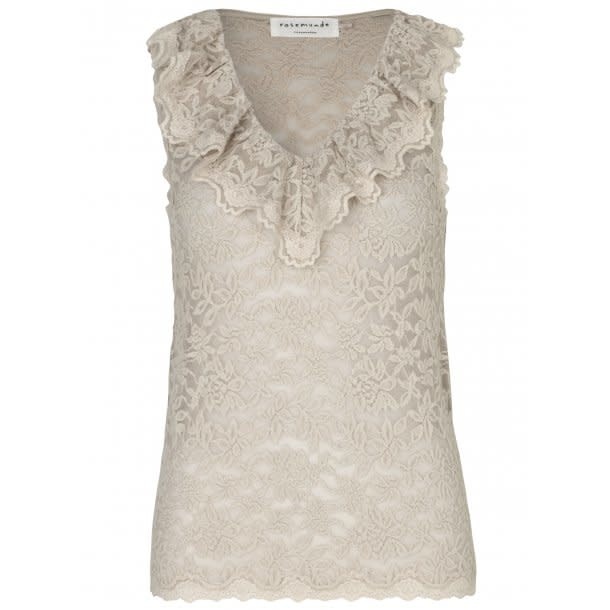 The top is designed with a wide vintage inspired lace trim. 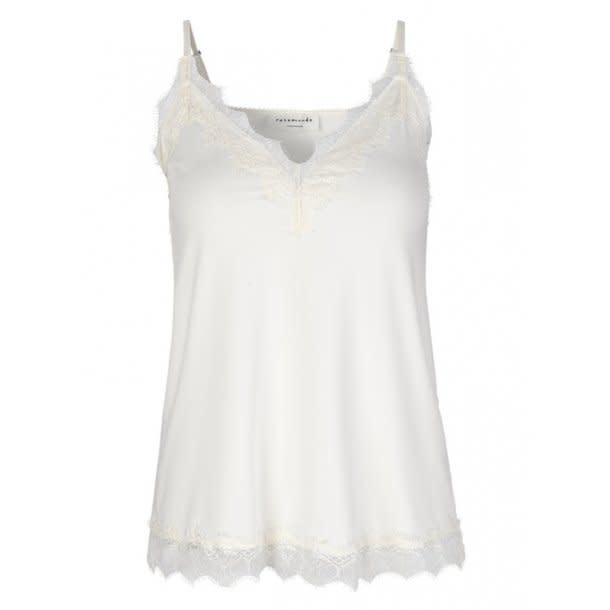 Pair it with a cardigan to show off the lovely lace detail. 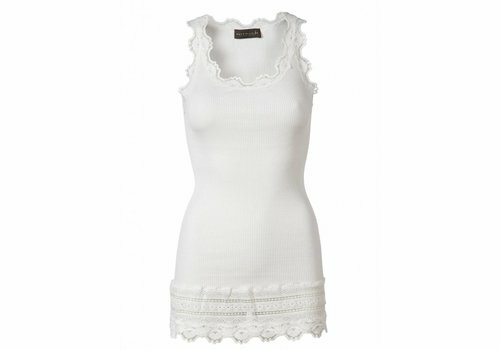 Size M is approximately 68 cm long. 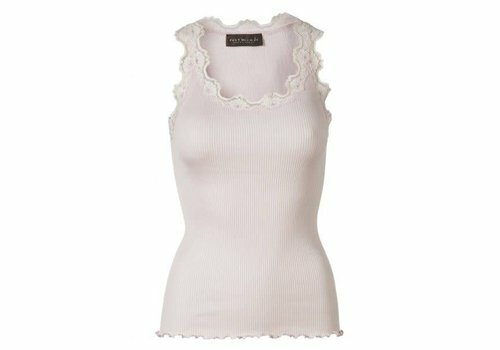 Made of 70% silk 30% cotton. 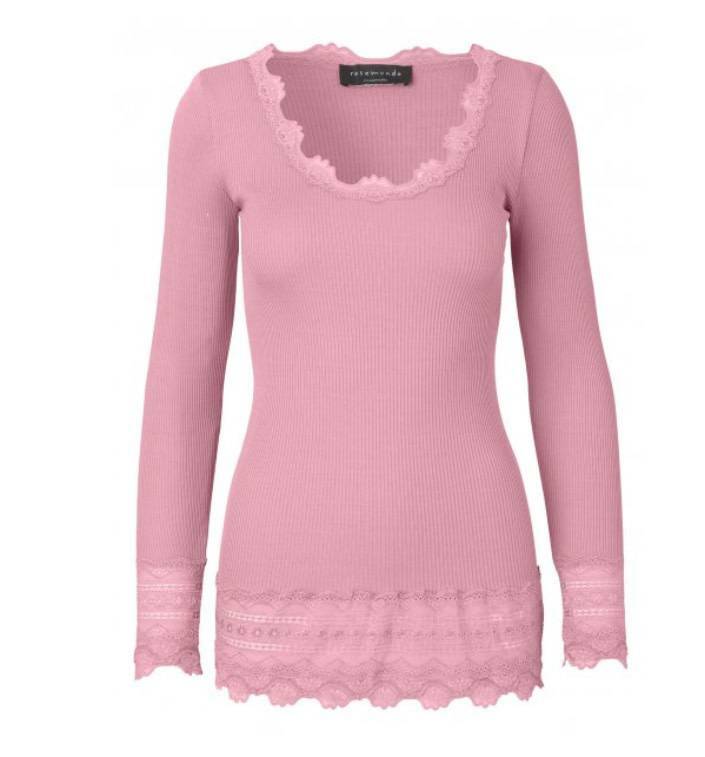 Feminine tube knitted top in soft silk mix with round neck. 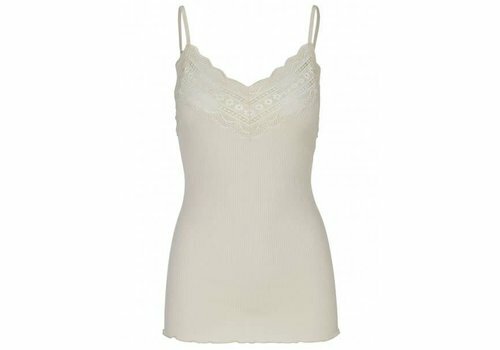 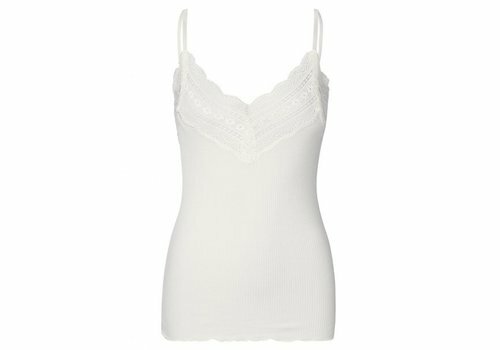 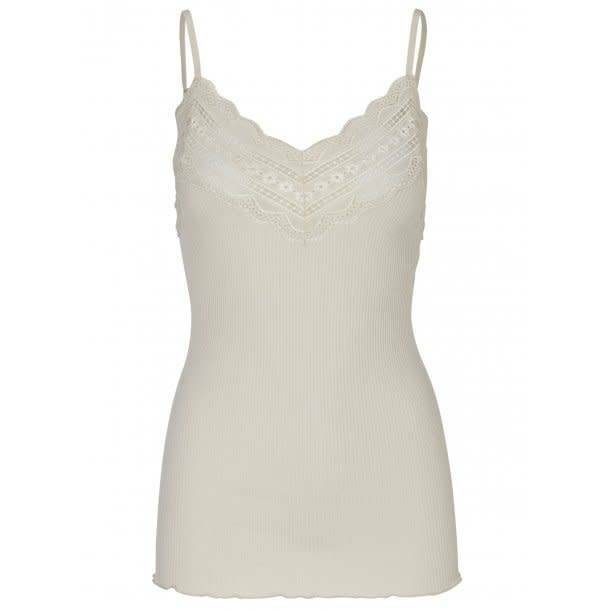 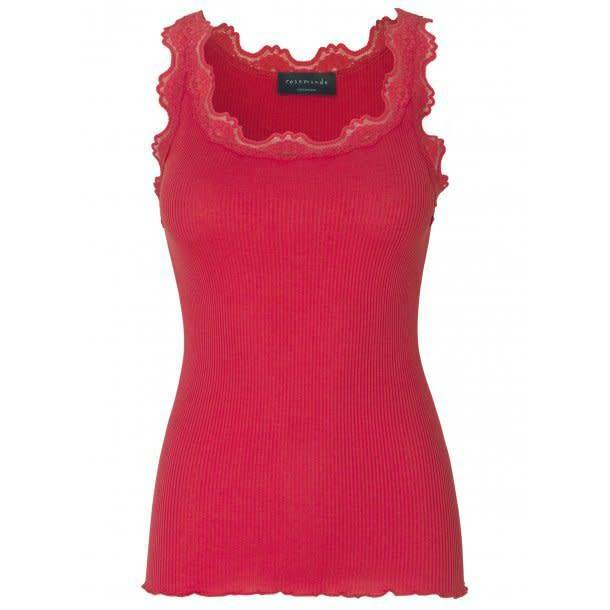 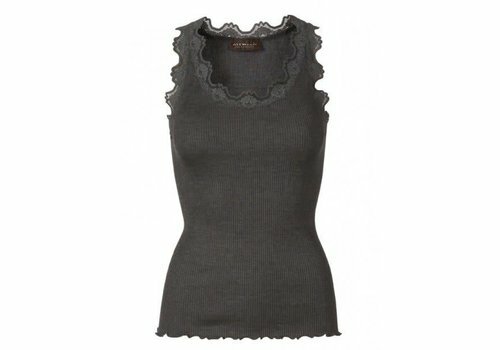 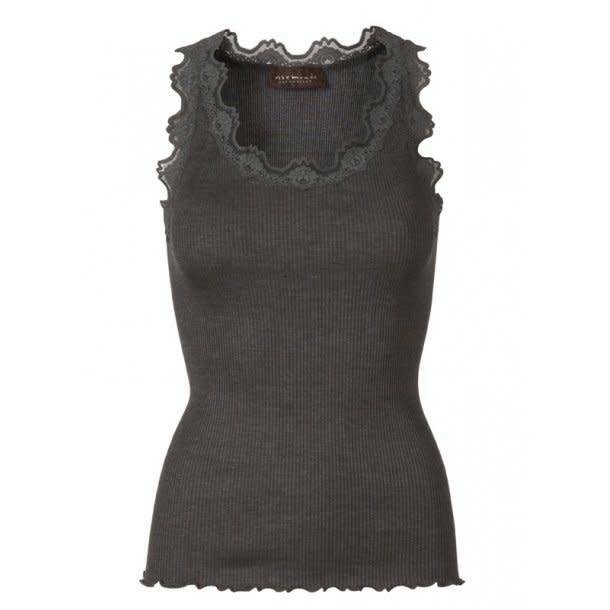 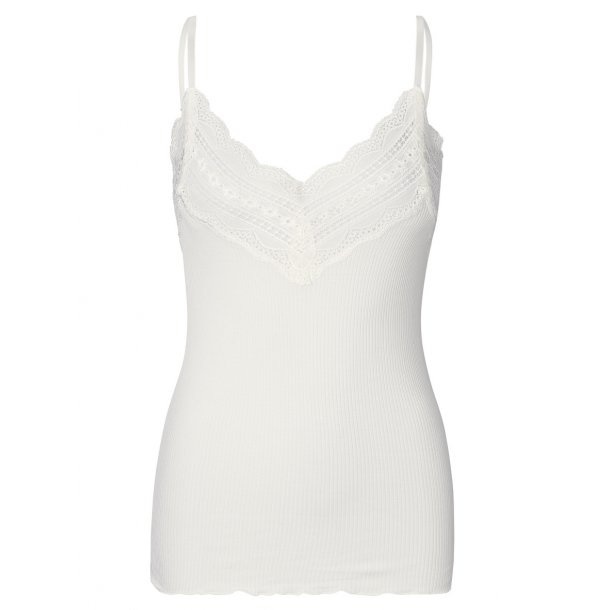 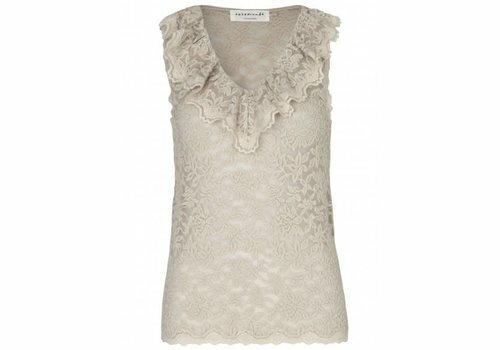 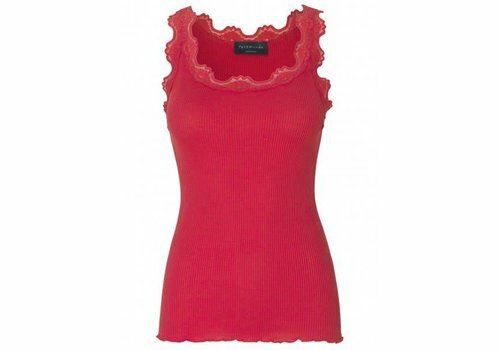 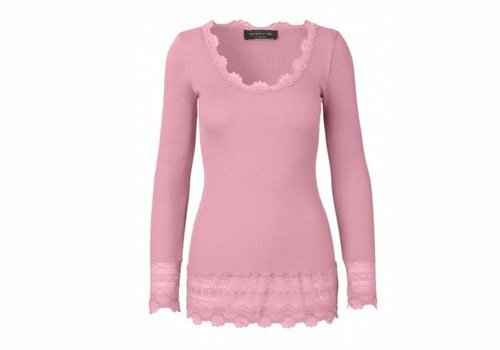 Available in a wide variety of colours with beautiful lace in the neckline. 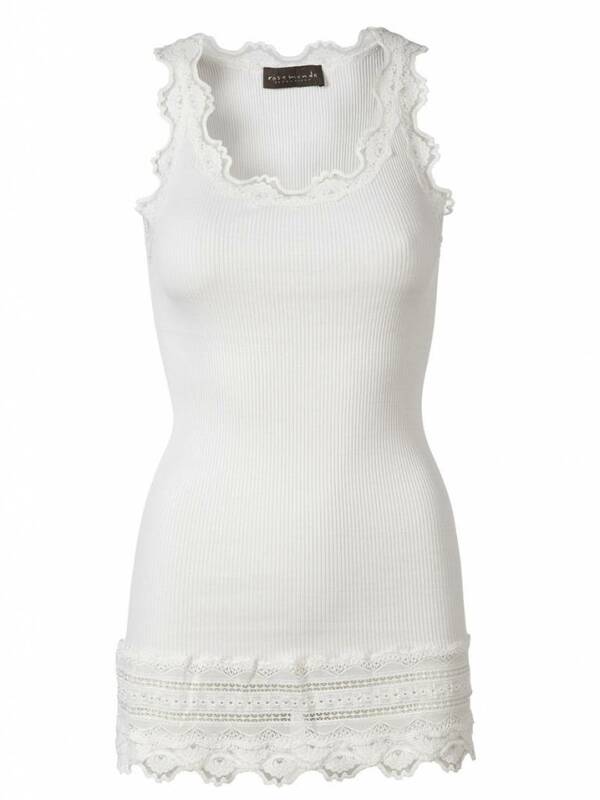 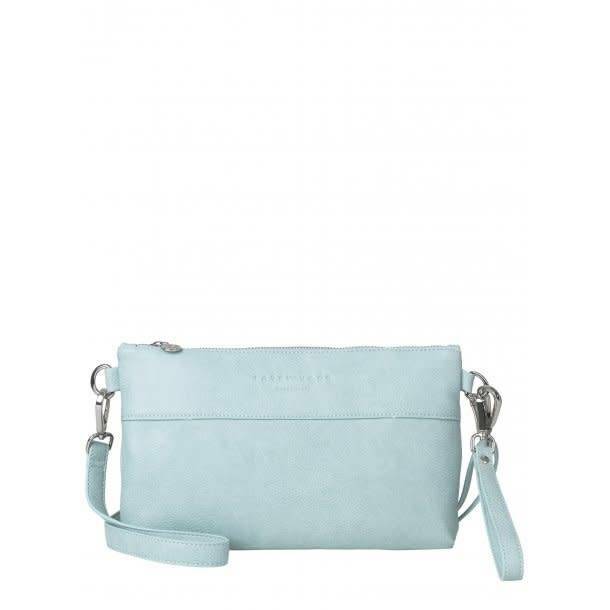 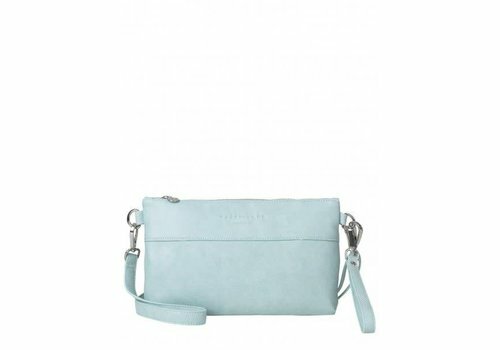 Wear it underneath a shirt or blazer for a stylish everyday look. 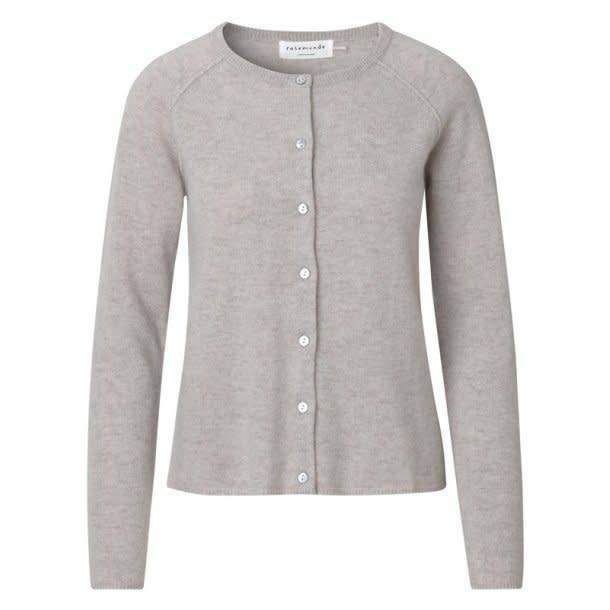 Beautiful cardigan with mother of pearl buttons down the front and raglan sleeves. 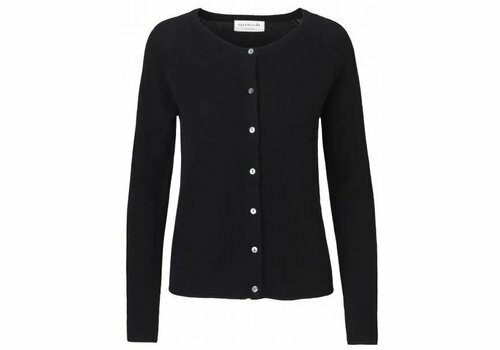 Wear the cardigan over a feminine dress for a lovely outfit. 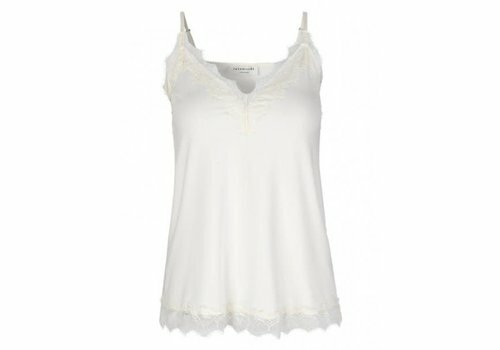 Size M is approximately 58 cm long. 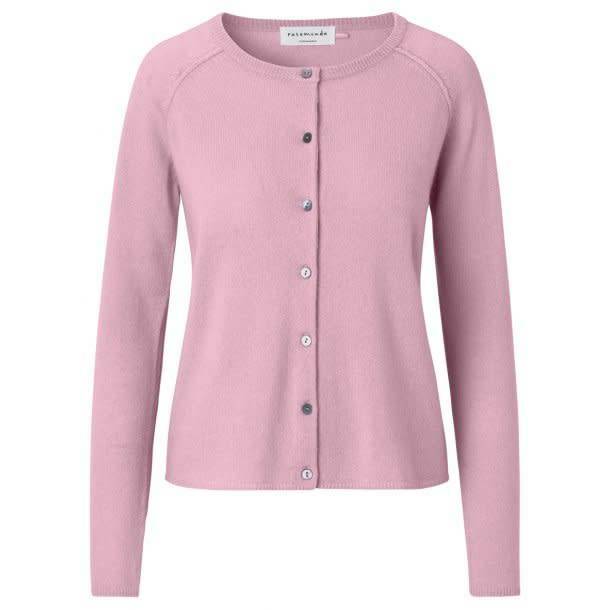 Made of 70% wool and 30% cashmere. 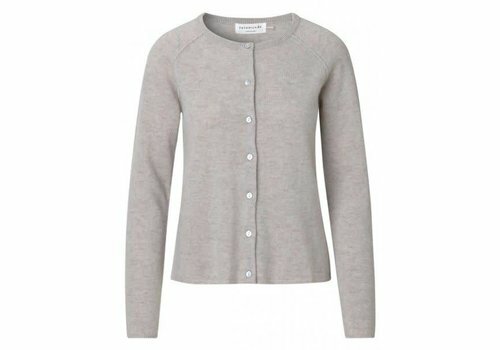 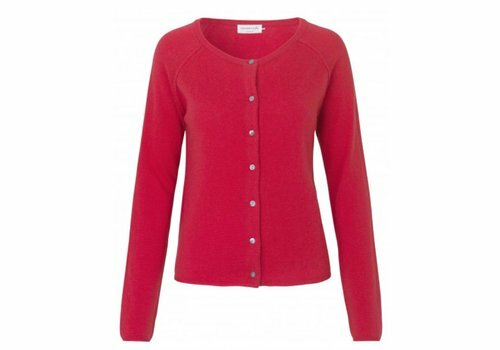 Beautiful Cashmere & wool mix cardigan with mother of pearl buttons down the front and raglan sleeves.